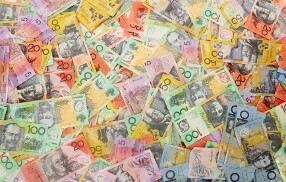 The Australian dollar tanked today, falling for the fourth consecutive trading session. Domestic macroeconomic data was mixed, but it was overshadowed by global news that was negative to the market sentiment. The big news on Thursday was the arrest of Huawei CFO Meng Wanzhou in Canada. The chief financial officer of the Chinese tech giant will be extradited to the United States to face charges of dealings with Iran that violate US sanctions. The event will likely strain relationships between China and the United States further, just few days after it looked like they were started to mend at the Group of Twenty meeting. As for Australian data, retail sales rose 0.3% in October on a seasonally adjusted basis, matching forecasts. The September increase got a negative revision from 0.2% to 0.1%. The trade balance surplus shrank from A$2.94 billion in September to A$2.32 billion in October instead of widening to A$3.1 billion as analysts had predicted. AUD/USD dropped from 0.7267 to 0.7211 as of 13:44 GMT today, touching the low of 0.7191 intraday. EUR/AUD jumped from 1.5603 to 1.5757. AUD/JPY sank from 82.27 to 81.30.